My Neighbor Totoro, or となりのトトロ, Tonari no Totoro, is the heartwarming story of two sisters, a new home, and a forest spirit. 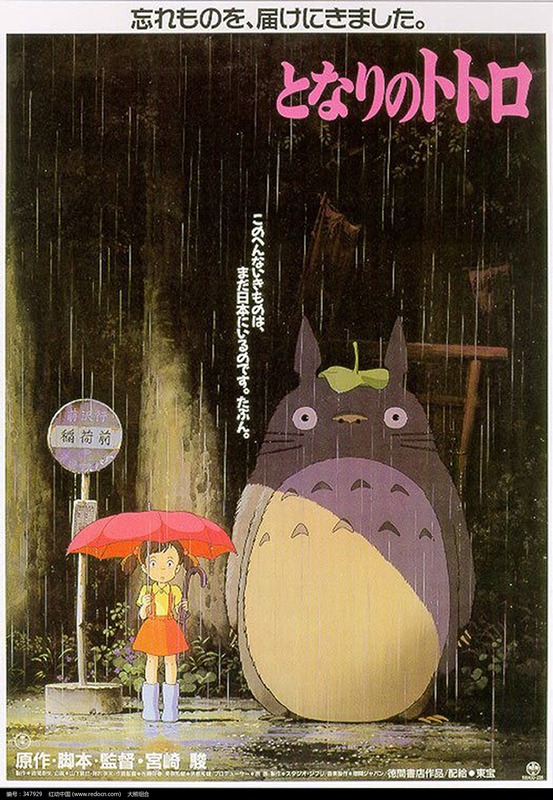 Released April 1988, My Neighbor Totoro follows the story of two sisters, Satsuki and Mei, and their father, a professor, as they move to a new town to be closer to their mother, who is currently ill in the hospital. The move takes them to a rural home, brimming with mystical and whimsical energy and featuring a particularly majestic tree. In addition to discovering fuzzy little soot sprites, on Satsuki’s first day at school, Mei finds a small acorn-hoarding creature under the house and decides to follow it into the forest, leading her and her sister into a world of charming imagination. The film is unusual; it stands as one of the only Miyazaki films without war or major conflict. Instead, moving away from darker and larger stories, Miyazaki expands a small, everyday kind of story about a family working to make it through a mother’s illness. Even then, the protagonists’ goals stay simple: the sisters just want their mother home for a weekend. The simplicity and reality of such a story stand as testament to Miyazaki’s storytelling mastery; his ability to portray such a personal story only proves that, while explosive battles and country-altering wars can provide important stories, a situation seemingly so small gives a story that is equally important. The audience here finds a film of deeper personal emotions of the less public conflicts in life. Totoro had two dubs, one from Streamline in 1993 and one from Disney in 2005 (which was released to TV and DVD in 2006). 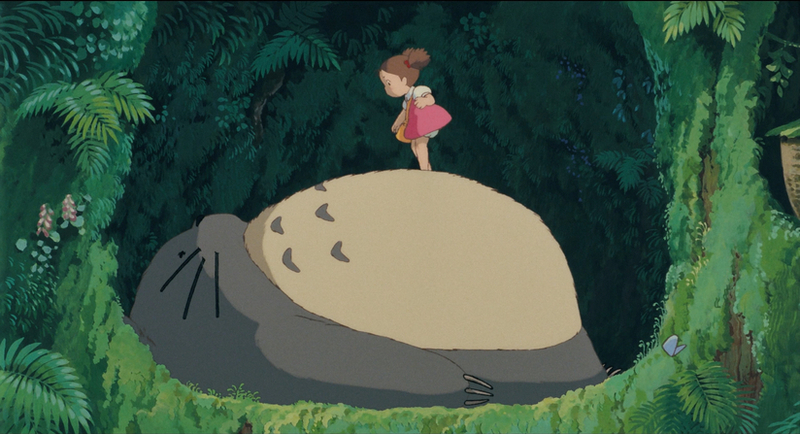 Miyazaki had a firm hand with Totoro’s dubs, insisting no scenes were edited out, all names remained the same (though Catbus was an exception), the translation be as close to the original Japanese as possible, and nothing of the world was changed to be more agreeable or understandable for the English audience; most specifically, the origin of the name “Totoro” must be explained exactly the same. Totoro is a forest spirit, also referred to as a troll. As “king of the forest,” he lives in the largest majestic tree, likes naps, travels by spinning top on the wind or via Catbus, and is especially grateful when Satsuki lends him an umbrella for the rain. His design is both adorable and powerful, similar to a large squirrel with a lion’s roar, with such a furry design that the entire audience envied Mei’s nap on his belly. He became an icon for Studio Ghibli, and the film became the most well-known of the studio’s films. With the film’s growing popularity, it also stands as one of the only Studio Ghibli films to receive a sequel in 2003. Mei and the Kittenbus, or めいとこねこバス Mei to Konekobasu, is a thirteen-minute sequel featuring the offspring of the Catbus and a few other feline vehicles. 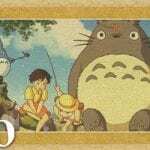 The short sequel, which featured voice work by Hayao Miyazaki himself as Totoro and Granny Cat, the short film is regularly shown at the Ghibli Museum but has yet to be released on home video. 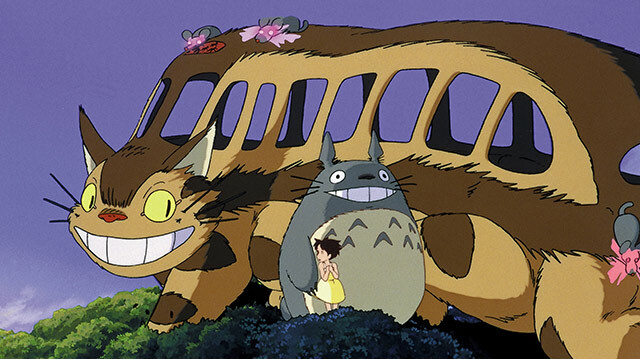 Mei and the Kittenbus was briefly shown in the US in 2006 to coincide with the release of Spirited Away. Following the Disney release, starring such voices as the Fanning sisters, Pat Carroll, and Lea Salonga, the film found acclaim from critics and international audiences alike, something the Streamline dub didn’t quite achieve. 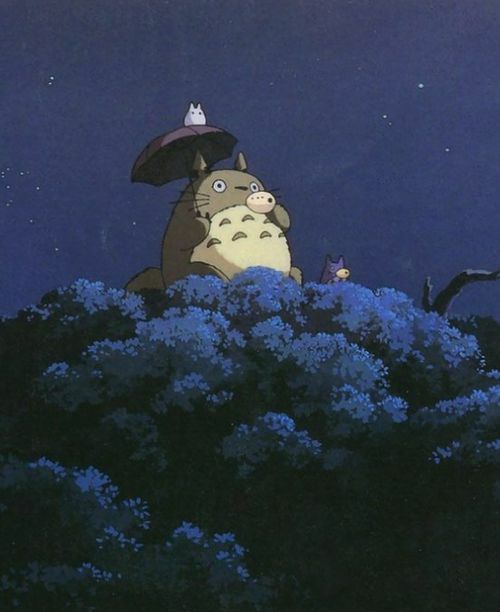 Roger Ebert, noting Miyazaki’s departure from darker themes, wrote, “My Neighbor Totoro is based on experience, situation and exploration—not on conflict and threat.” The result was a truly family-friendly film, tame and pleasant, and a welcoming gateway to the many worlds of Studio Ghibli. Have you seen My Neighbor Totoro?